The Fragrance Foundation Awards, formerly known as the “FiFis” are considered the “Oscars” of the perfume world. Usually awards are chosen by members of the Fragrance Foundation and industry experts. 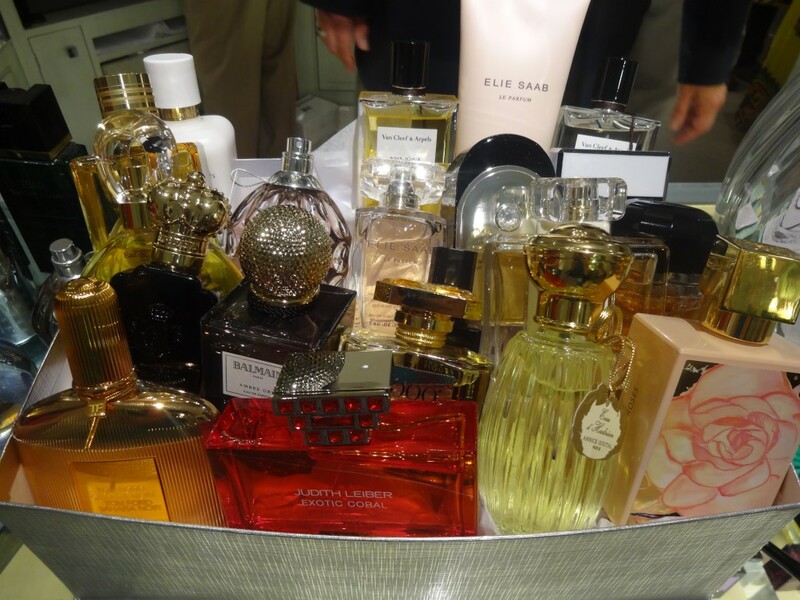 But this year, any scent lover can cast his or her vote for the Consumer Choice Award. A new category since the 2013 awards, the Consumer Choice Award “is the only fragrance award that consumers can vote on,” says Julie Leong of the Musmanno Group. What’s new this year is the subcategory Celebrity scents has been added to the Women’s and Men’s categories. That’s because last year Justin Bieber’s team tweeted so much the last leg of voting that it rocked the vote in his favor for Girlfriend Justin Bieber in the Women’s category. “It’s hard to compete with the power of the celebrity tweet,’ says Julie, so they wanted to give the other brands a fair chance. Also new, the voting period has been extended over several months. Polls opened in March – and the last day to vote is May 30, 2014. Click here to vote. The way it works: You log onto the Fragrance Foundation’s website and click on Cast Your Vote. You enter your email — only one vote per email. First you choose a favorite Celebrity fragrance from one of these four: Flight Sport by Michael Jordan, Gold Jay Z, Our Moment by One Direction and Rogue by Rihanna. Next, choose the Women’s fragrance: Fiori Vince Camuto, Michael Kors Amber Eau de Parfum or Victoria by Victoria’s Secret. Finally, select a Men’s fragrance: Victorinox Swiss Unlimited Energy, Polo Red or Givenchy Gentlemen Only. Easy right? But what if you haven’t tried any of these scents? If you’re a Cosmo girl you’re in luck. In the June issue of Cosmopolitan there is a 12-page scented insert called SMELL & VOTE, where you’ll find scent strips of all 10 fragrances to sniff. This issue, which should arrive in mailboxes May 2-6, goes out only to subscribers. The Fragrance Foundation says it is targeting Cosmo readers because they happen to love fragrance. According to Cosmopolitan, 12.7 million of their readers are fragrances devotees who spend 1.4 billion dollars buying perfume. All of the fragrance brands are encouraged to campaign for their scent to win — so look for tweets, Facebook posts, videos and the like. So far more than 30,000 people have voted, with about four weeks to go. To be nominated for the Consumer Choice Awards, perfume brands must be members of the Fragrance Foundation, and the perfume launch had to take place between January 1 and December 31, 2013. Brands entered their perfumes and the finalists were narrowed down by a group of active Fragrance Foundation consumers were sent ballots of the nominees to vote on. The result — the three to four fragrances per category. “It’s a heated competition between these scents,” says Julie Leong. Look for winners to be announced at the big Fragrance Foundation Awards gala on June 16 in New York City to celebrate the winning perfumes.